Background/Info: Hailing from New Zealand we welcome the debut work from Élan Vital-trio. The work has been released on Fishrider Records (New Zealand) together with Occultation (UK). 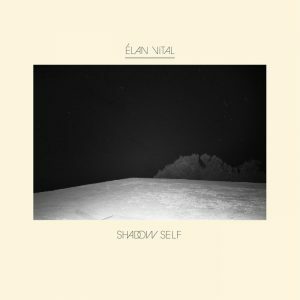 Content: I don’t know if it’s because of the distance and simply the fact that we’re not used to hear underground electronic bands from New Zealand, but Élan Vital clearly reveals a different approach in sound. There’s a real strong vintage flavor supporting the songs, which is mixing 60s organ sounds together with 80s-like rhythm boxes plus robotic vocals. 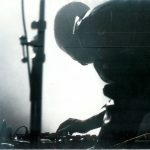 The songs are into electro-wave, mixing elements of pop together with tougher industrial arrangements. + + + : Vintage electronics is not exactly ‘new’, but the refreshing elements here consist about the mix of different retro-styles. The organ makes it sound a bit psychedelic while the good-old rhythm box clearly evokes the 80s electro-wave movement. It all together sounds pretty refreshing and there are a few cool cuts featured on “Shadow Self”. This formation takes me by surprise reworking and mixing ‘old’ music styles. 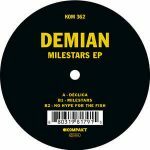 – – – : I can easily imagine some music lovers who’ll not find this kind of production that refreshing at all. I guess a lot of experiments have already been done in numerous music styles. The main difficulty for Élan Vital will however be to get some fair distribution to catch a wider audience. Conclusion: “Shadow Self” is the perfect sonic illustration that bringing old music genres from different periods together can be simply original and efficient! Best songs: “Possession”, “Hologram”, “Janina”.